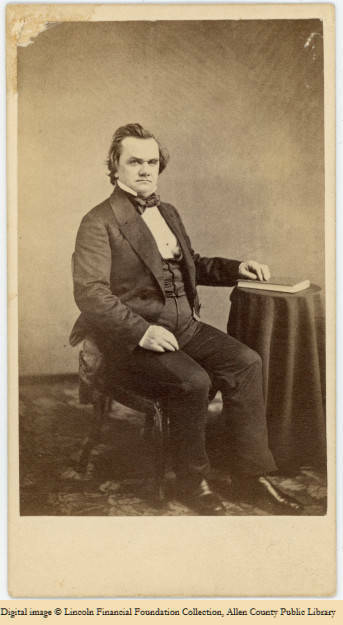 As most readers of 19th-century history know, the 1858 Lincoln-Douglas debates sparked an explosion of public interest in Abraham Lincoln, Stephen A. Douglas, and the sport of political debating itself. The encounters not only riveted the tens of thousands of eyewitnesses who packed Illinois town squares and fairgrounds to hear them, but also captivated the hundreds of thousands more around the country who devoured every word of their arguments in the newspapers. Often forgotten, however, is that what these readers got to examine in 1858 depended very much on the political party with which they (and their favorite newspapers) were affiliated. And what Democrats and Republicans saw was quite different. In the age of Lincoln and Douglas, Republicans read Republican-affiliated papers, while Democrats read pro-Democratic journals. And the politically slanted debate coverage each published differed so markedly they seemed to be reporting entirely different events. The reprinted debate transcripts varied dramatically as well, recorded on the spot, but with entirely different results, by separate stenographers hired by Chicago’s pro-Republican and pro-Democratic dailies. The debates have been re-published many times since 1858. 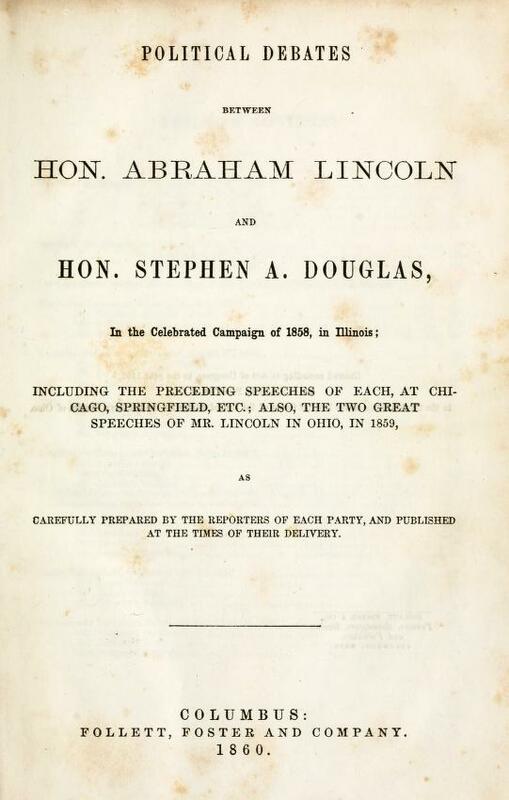 But following their initial appearance in book form in 1860, they have almost always featured the Republican newspaper versions of Lincoln’s remarks, and the Democratic reprints of Douglas’s, just as they were first transcribed for, edited by, and issued in, the pro-Republican Chicago Press and Tribune and the pro-Democratic Chicago Daily Times, respectively. For a century and a half, most readers have relied on, accepted, and cited these “official” party transcriptions even though they were undoubtedly burnished before their initial appearance in newsprints. How they came to be permanently enshrined in book form constitutes a compelling story in itself. ginal, unedited, unvarnished, and seldom-reissued form—that is, the way opposition stenographers recorded them on the scene—sans editorial amelioration—even if it might reasonably be argued that a Republican stenographer might as easily misreport a Democratic speech as a loyal Democrat might mangle a Republican one. It was Lincoln who determined to use the Republican versions of his transcripts, and the Democratic record of his opponent’s. Adopting these authorized, party-sanctioned printings, he reasoned, “would represent each of us, as reported by his own friends, and thus be mutual, and fair.” But he did proceed to make minor corrections to his own remarks, offering Douglas the opportunity to correct typographical errors in his, if he so desired. Twisting the knife a bit, Lincoln left no doubt that he believed he had more of a right to make editorial changes than did his rival, explaining somewhat dubiously: “I had no reporter of my own, but depended on a very excellent one sent by the Press & Tribune, but who never waited to show me his notes or manuscripts.” Even a pro-Lincoln man would have been forced to admit that Douglas had enjoyed no more time to review and amend his speeches immediately after their delivery than had Lincoln. Still, it was Lincoln who seized the initiative to republish the debate; Lincoln who cannily realized that they might yet help him in future endeavors by further circulating his verbal battles with a national figure as prominent as Senator Douglas. At first, Lincoln elicited no interest in the project from publishers, but during a barnstorming tour through Ohio in 1859, found a buyer through a fortuitous accident. Apparently he had taken the bulky scrapbook along with him (no doubt hoping to attract interest along the way), then carelessly left it behind one day in his hotel room. In making inquiries to secure its safe return, he intrigued a local Republican leader who thought it might impress the Columbus publishers Follett, Foster & Co. It did. 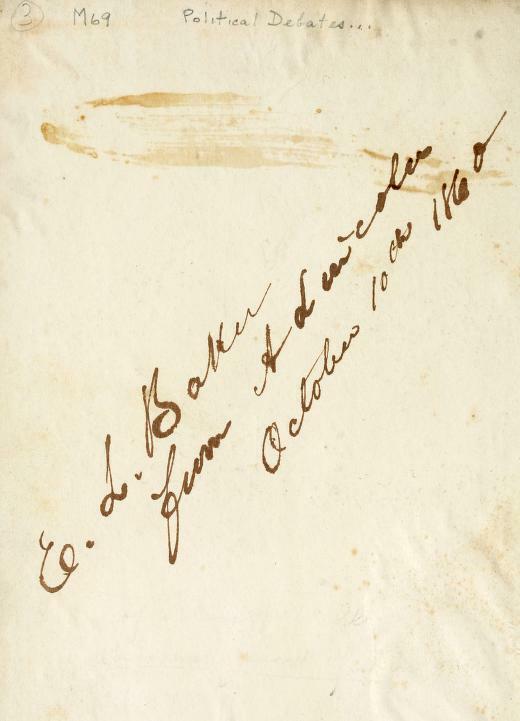 The book appeared under their imprint just before the 1860 race for president got underway. And it became so successful that it served almost to campaign nationally in Lincoln’s behalf in an age in which presidential candidates did no campaigning on their own. The book sold 30,000 copies in the spring and summer of 1860. Douglas was not grateful. As far as his camp was concerned, the re-publication of the transcripts only reinvigorated the 1858 debate over their accuracy, a matter he clearly felt remained unresolved. Moreover, Douglas may well have feared that a new edition could remind Southern voters that, during the debates, Lincoln had cornered him into conceding the right of a local jurisdiction to ban, as well as welcome, slavery. Choosing to cast doubts about the book before it appeared, the Democratic press charged that Lincoln had unfairly re-edited his “manuscripts” while denying the same privilege to his once and current foe. Unjust it well might have been for Lincoln to publish his debates scrapbook without Douglas’s review and permission. But it was also a brilliant political and public relations strike, all the more remarkable because Lincoln conceived it when allegedly wallowing in melancholy after coming up short on Election Day 1858. An intentional exception was my book, The Real Lincoln-Douglas Debates: The Complete, Unexpurgated Text (New York: HarperCollins, 1993), which printed the “opposition transcripts”—Democratic versions of Lincoln’s remarks, and Republican versions of Douglas’s. Glenn C. Altschuler and Stuart M. Blumin, Rude Republic: Americans and their Politics in the Nineteenth Century (Princeton: Princeton University Press, 2000), 163. The authors note that “urgent partisan rhetoric” was “a staple of the political press. Chicago Times, October 12, 1858; Chicago Press & Tribune, October 11, 1858. Lincoln to Henry Clay Whitney, November 30, 1858, in Roy P. Basler, The Collected Works of Abraham Lincoln, 8 vols. (New Brunswick, NJ: Rutgers University Press, 1953-1955), 3:343. Lincoln to William A. Ross, March 26, 1859, Collected Works, 3:373. Douglas defied tradition by speaking in public in the South, and was roundly mocked for the effort. Sheahan to Lincoln, January 21, 1860. Sheahan was intentionally imprecise here; he was not actually contemplating a rival edition of the debates, but working on a campaign biography of Douglas, not only a fellow Democrat but an investor in the paper. 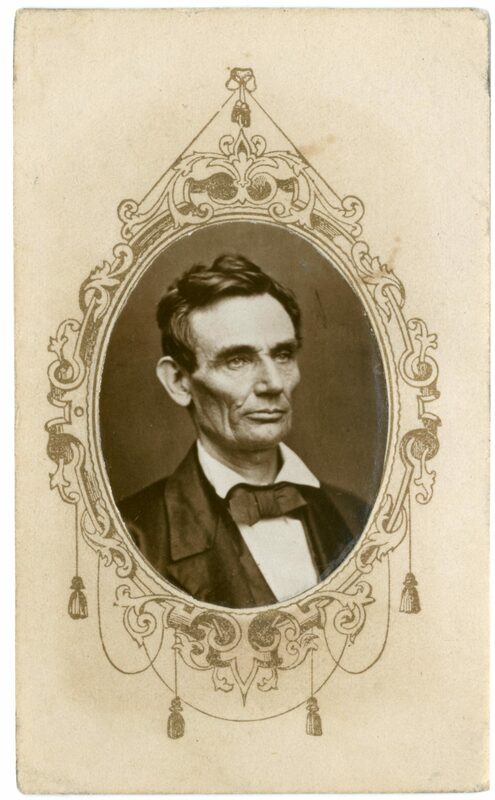 Lincoln to James W. Sheahan, January 24, 1860, Collected Works, 3:515. Robert W. Johannsen, ed., The Letters of Stephen A. Douglas (Urbana: University of Illinois Press, 1961), 489. James M. McPherson, Battle Cry of Freedom: The Civil War Era (New York: Oxford University Press, 1988), 187.